Young Spenser is tough. No doubt about it. After all, he's being raised by his father and uncles—three of the toughest men in town. He knows how to fight, and he's had to prove it. But his father taught him something far more valuable: Sometimes the toughest thing a guy can do is walk away from a fight. So when Spenser sees his friend Jeannie being taken in a boat downriver by her abusive father, he knows he has a hard decision to make. Should he trust his gut and risk his own life to save Jeannie's? And if so, how can he overcome such a bear of a man? 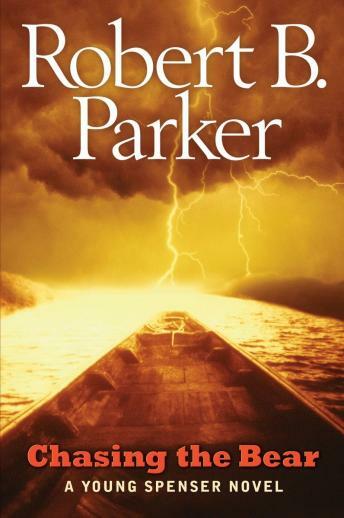 Robert B. Parker's bestselling Spenser novels are a worldwide phenomenon. Now, for the first time, he gives us a glimpse into the formative years of his most iconic character. Chasing the Bear is a suspenseful thriller sure to satisfy Parker's growing legion of fans.